„What I'd say about the Icesave situation is that I think both countries have now put this behind us in our relations and now we can move forward and talk about the other things we should be doing together,“ UK Prime Minister David Cameron said at a press conference today after the Northern Future Forum conference in Reykjavík, Iceland. Cameron was responding to the question whether he would consider offering Icelanders an official apology for Gordon Brown government's use of anti-terrorist legislation against Iceland in the autumn of 2008 after the country's three largest banks collapsed. 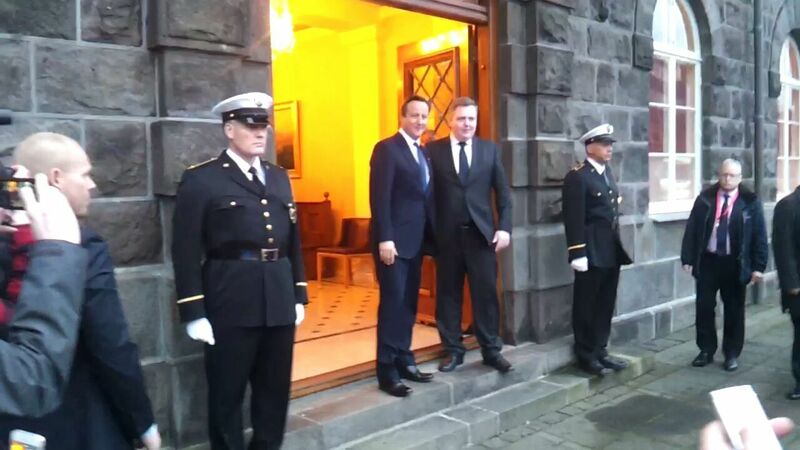 „We've got a very strong trading relationship, very strong tourist relationship with many British people coming here quite rightly,“ Cameron furthermore said mentioning Iceland's beautiful landscape that he had seen during his visit.